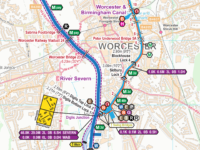 We cruise cruise cruise clockwise around the delightful Mid Worcestershire Ring. As we descend the narrow locks of the Worcester & Birmingham Canal the open countryside gives way to urban surroundings as we enter Worcester. Heading upstream there’s just one lock on the mighty River Severn. 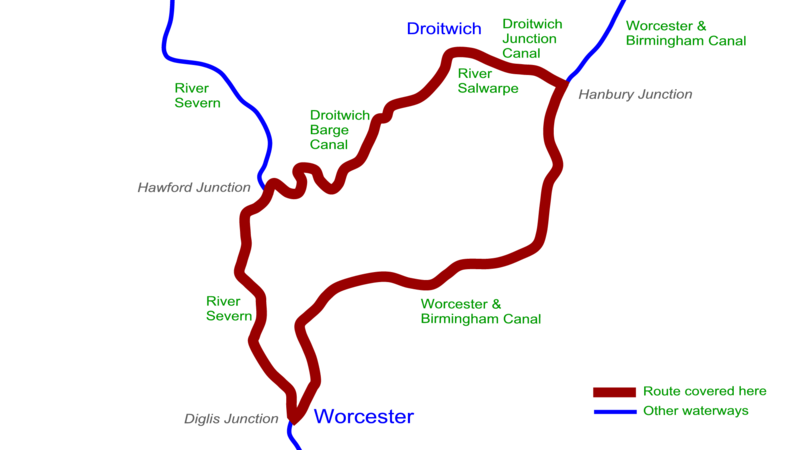 The wide locks of the Droitwich Barge Canal lead us into Droitwich where the River Salwarpe provides a link to the Droitwich Junction Canal whose narrow locks complete our climb back to Hanbury Junction. Route covered by the Mid Worcestershire (Droitwich) Ring DVDs. 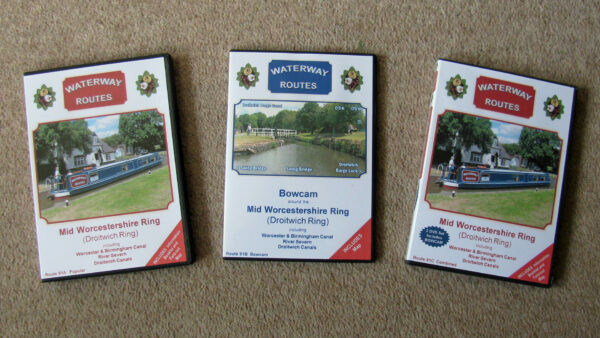 Mid Worcestershire (Droitwich) Ring DVDs in a choice of formats. Contents of Mid Worcestershire (Droitwich) Ring Combined DVD. 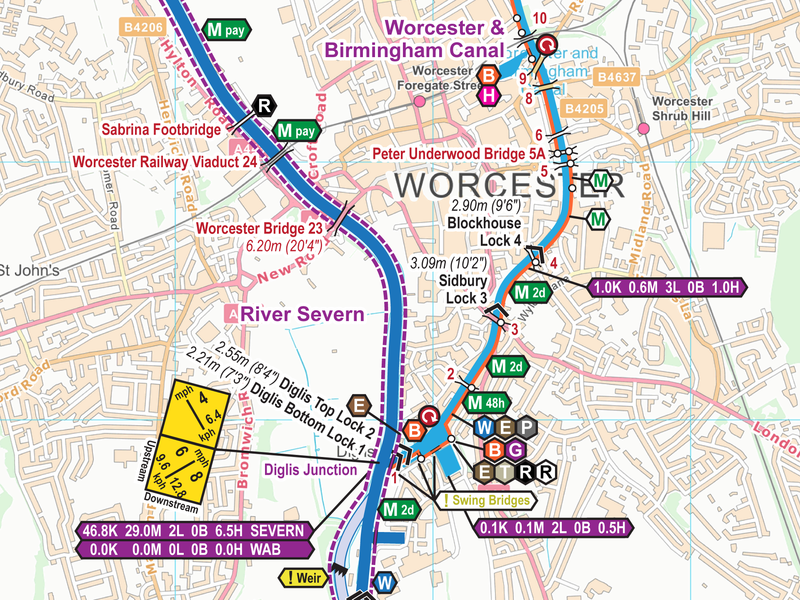 Extract from my Mid Worcestershire (Droitwich) Ring Maps. 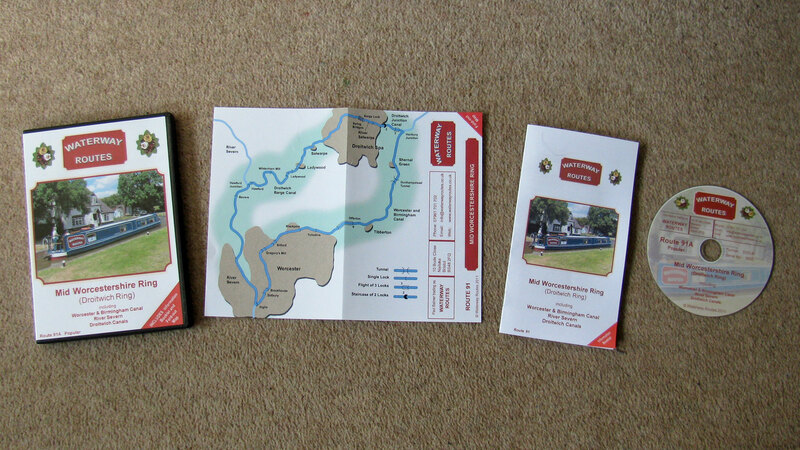 Read more about my Mid Worcestershire (Droitwich) Ring Maps. 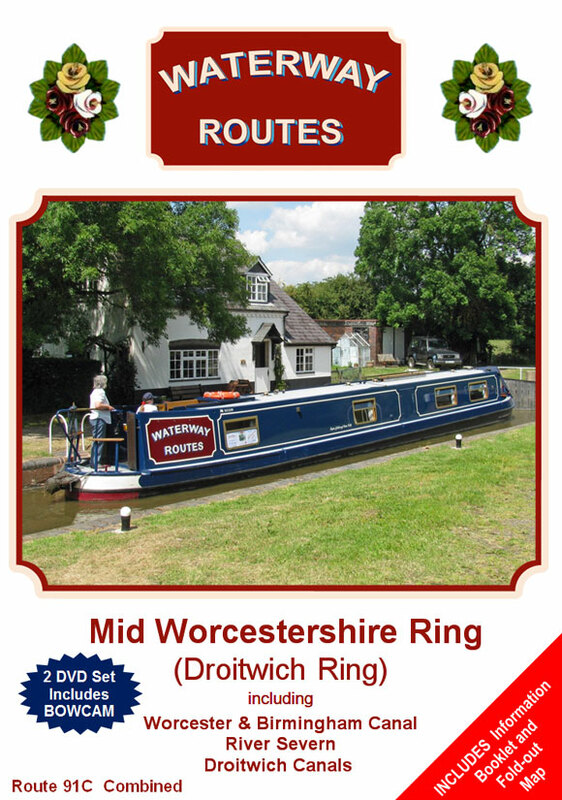 Save 10% on both when you buy a Mid Worcestershire (Droitwich) Ring Map and DVD together. Automatically deducted at checkout.